I am back with another lesbian movie review! So get ready to read this, then grab your girlfriend, some snacks and find a cozy place for a some perfect winter date. This time I am talking about the movie Fear of Water. It was released in 2014, but as with all movies I am behind. This movie has a very West Side Story theme with a rich girl (played by Lily Loveless) and a poor girl (played by Chloe Partridge) meeting up with each other one day and slowly falling in love. This of course is a story that has been used many times before, but is offered a fresh view when being used as a discovering love as a lesbian. If done right these things always flow well and director Kate Lane knew exactly how to do that. The movie brings you through scenes ranging from scummy parks to gorgeous mansions and shows how despite being from completely different backgrounds, beautiful love can blossom between people of any gender. What makes this movie even better is the fact that Lily Loveless – somebody who is already one of my favourite TV lesbians in Skins – plays one of the main characters. The director has stated that the idea for the movie stems from her very own experiences of coming out as a lesbian and being afraid of coming out. If you’re looking for a feel good story about two girls discovering their sexuality and overcoming differences that society puts on us then you’ll enjoy this flick. It has gorgeous scenes and it’s done well. Sometimes the story moves quick and the setting is weird but it’s something to enjoy. I’d say that everyone should watch this one at least once, but I won’t promise it’s a movie you’ll want to watch over and over again. So grab your girlfriend or your best friends and give this one a sit down. If you liked it you can always start chatting on GirlfriendsMeet! Let everyone join the discussion. 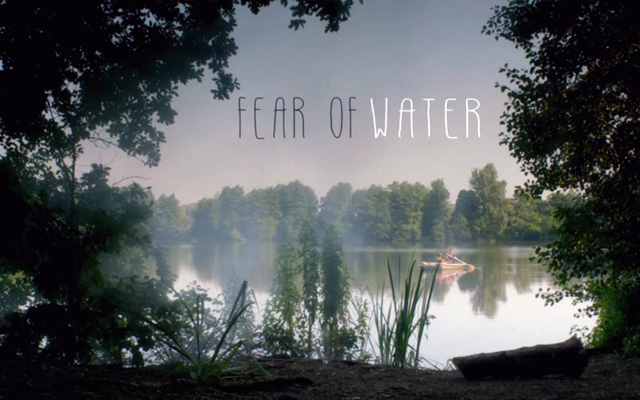 This entry was posted in Coming Out Stories and tagged Fear of Water, movie by Cassidy. Bookmark the permalink.